A completely fascinating take on a classic! 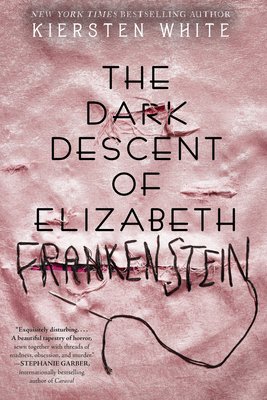 I loved seeing Victor Frankenstein and his Monster through the eyes of Elizabeth, a companion whose entire purpose is to keep Victor in line – beginning when they meet around age 12. Determined to save herself by saving Victor, Elizabeth adapts her very self… and then later discovers that maybe she isn’t who she thinks she is. I love, love, loved this book. A new, fresh take on Victor and his Monster that made my skin crawl with a strong female character who kept me intrigued and looking forward to see what she would do next. Perfect autumn reading!